It was designed as a dedicated fixed-gear, but its geometry is closer to a road bike than a track bike. It’ll take tires up to about 38mm. It’s got nothing in the way of braze-ons except a set of water bottle cage mounts. You could add front and rear brakes and a freewheel if you really want. 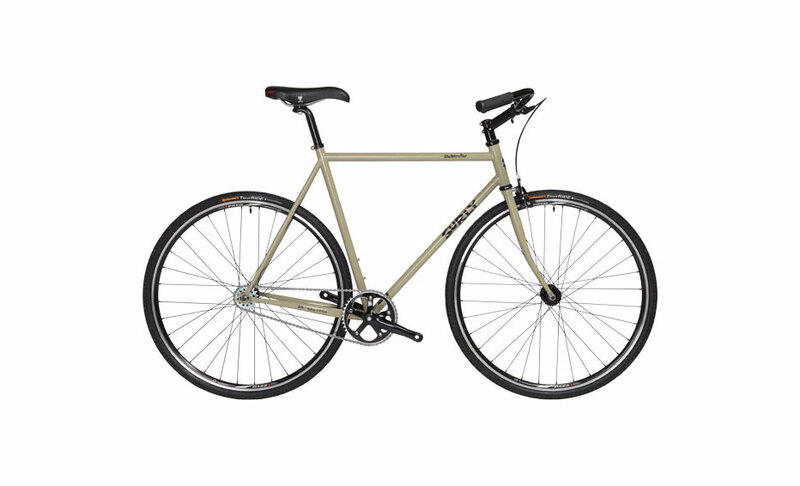 this bike has been designed to be an upgrade of the old basic fixed gear bike. It’s not a racer, it’s not a BMX, it’s not the flashiest bike on the block but it’s a bike that will travel on any road condition Vietnam can dish up and do it all in comfort with the the new open bar handlebar, in addition to a selection of components designed to work well and love you long time without punching you in the wallet.